Now, Paper Swan have scored a collaboration with one of the most popular Brooklyn’s venues, Union Hall, sponsored by ASCAP to host a series of 9 monthly fundraising music events, the first one to support Africa Volunteer Corps. 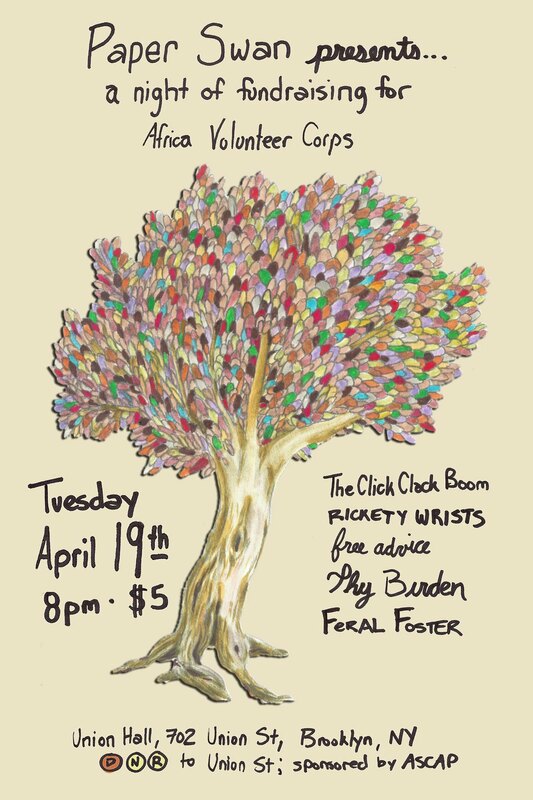 The first of the events will take place tomorrow at 8pm in Union Hall and will feature music by The Click Clack Boom, Feral Foster, Thy Burden, Rickety Wrists, and Free Advice. The admission is only $5.